Mumbai, India (BBN) – Cheering Budget proposals of infusing Rs 10,000 crore in public sector banks and keeping the long-term capital gains tax unchanged for the capital markets, the benchmark Sensex regained the 28,000-mark by soaring nearly 500 points today. While the markets were waiting with bated breath for a proposal to tax long-term capital gains from equity transactions, or a tweak to the definition of ‘long-term’ for stock market gains, neither of these provisions made it to the Budget speech, leading to market cheer, reports The Hindu Business Line. Sentiment also got a boost after Finance Minister Arun Jaitley proposed to bring down the fiscal deficit to 3.2 per cent of GDP from 3.5 per cent. The Sensex rallied 485.68 points, or 1.76 per cent to 28,141.64, powered by budgetary proposals to infuse Rs 10,000 crore in public sector banks, no change for capital markets and allocating a record Rs 3.96 lakh crore to infrastructure sector as well as granting infra status to affordable housing. Moreoever, proposal to further liberaise FDI policy too uplifted the trading sentiment, brokers said. The Sensex touched a high of 28,159.54 and low of 27,590.10. 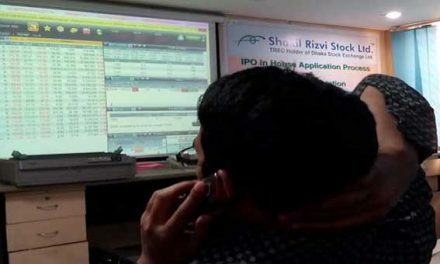 The broad-based National Stock Exchange Nifty too shot up by 155.1 points, or 1.81 per cent to 8,716.40 following widespread gains in stock prices. “No change in the capital gain tax, particularly long-term, in the Budget, cheered the investing fraterinity” said a Delhi-based NSE broker, Manoj Choraria. The government also kept the securities transaction tax (STT) and other taxes for the capital markets unchanged. Shares of state-run banks such as SBI, Union Bank of India, Bank of Baroda, Punjab National Bank and Syndicate bank hogged the limelight and climbed by up to 4 per cent as the government announced infusion of Rs. 10,000 crore in public sector banks in the next fiscal. Oil stocks like BPCL, HPCL and IndianOil were up as the Government proposes to create an integrated public sector ‘oil major’ which will be able to match the performance of international and domestic private sector oil and gas companies. Fertiliser stocks rallied on the stock exchanges as the Finance Minister listed out measures for agriculture sector in his Budget speech in Parliament. Realty stocks surged up to 20 per cent today after the Government announced infrastructure status to affordable housing to encourage investment in the segment and offered tax sops for developers sitting on completed unsold inventories. Among BSE sectoral indices, realty index gained the most by 4.83 per cent, followed by auto 3.46 per cent, FMCG 2.79 per cent and banking 2.76 per cent. On the other hand, IT index was down 1.25 per cent, TECk 0.88 per cent and healthcare 0.32 per cent. 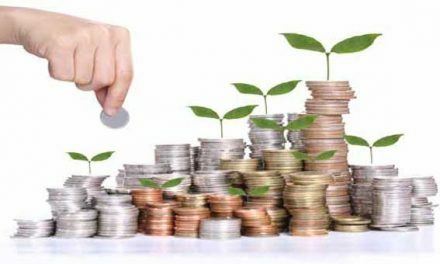 Top five Sensex gainers were Maruti (+4.69 per cent), M&M (+4.64 per cent), ITC (+4.51 per cent), ICICI Bank (+4.4 per cent) and SBI (+3.96 per cent), while the major losers were TCS (-2.71 per cent), Infosys (-1.37 per cent), NTPC (-1.27 per cent), Sun Pharma (-1.06 per cent) and ONGC (-0.94 per cent). The dollar was put on the defensive in Asia on Wednesday after the Trump administration accused Germany and Japan of devaluing their currencies to gain a trade advantage, fuelling a risk-off mood that also kept the stocks subdued. The US currency suffered its worst January in three decades after President Donald Trump complained that every “other country lives on devaluation’’. PreviousIndian woman offers Rs 25,000 reward for missing parrot!